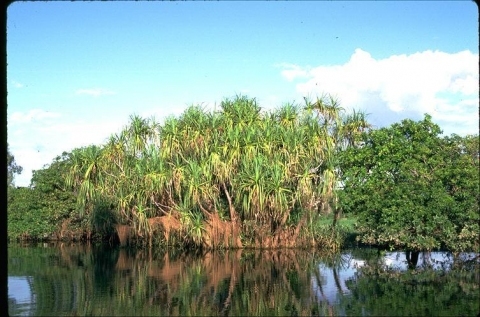 Pandanus aquaticus is an evergreen tree growing about 6 metres tall. The tree provides edible fruits, seeds and leaves, as well as material for making mats, bags etc. It is sometimes gathered from the wild for local use. A dioecious species, both male and female forms need to be grown if fruits and seed are required.